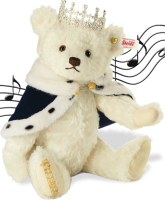 Steiff classic teddy Camilllo Teddy Bear, 026805 ~ Free Steiff Gift Box! 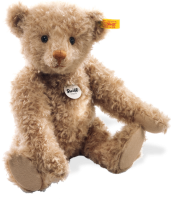 Steiff Camillo teddy bear is made from the finest mohair in a warm sand colour and is 5 way jointed (means you can move legs, arms and head). Steiff bear have given beige felt paw pads and proud face with black shiny eyes and black hand embroidered mouth and nose. 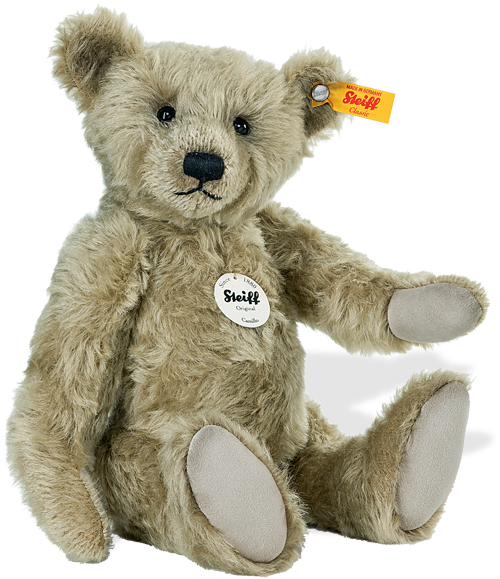 A Steiff Teddy Bear looking for a nice home!